It’s almost time to start booking that trip you always meant to take: to the fabled land of New Zealand! So we’ve prepared 3 itineraries that might inspire you of your journey. Whether you’re an adventurer, golf fanatic, or stopping by for a quick jaunt on your way to Australia, New Zealand has something for you! Call your agent at Willamette Intl Travel to discuss options for a self-guided drive. We can arrange car, maps, itineraries, flights, and hotels for you to explore this fascinating country on your own. Call 503-224-0180 or email inquiry@wittravel.com. Pick up your car for the freedom or choose to travel the more leisurely TranzAlpine. 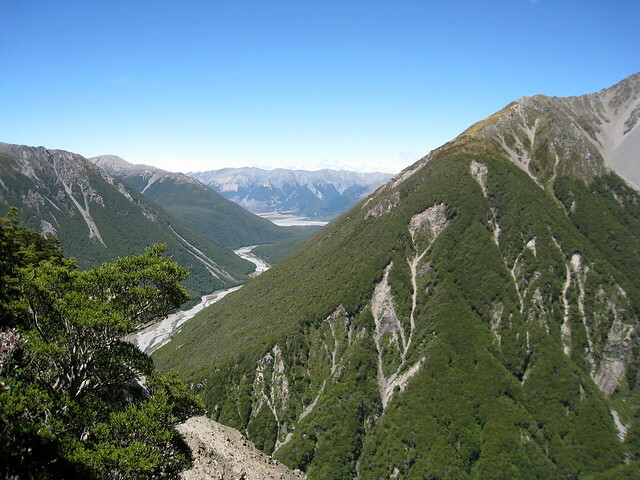 Today’s journey will take you to explore the hiking trails from the village of Arthur’s Pass. As you descend the Southern Alps, you’ll reach the rainforests of the west coast. Greymouth is the region’s largest town, known for its breweries and gold rush history. Drive out to Hokitika, for workshops and galleries to admire the pounamu, special New Zealand jade. Near Arahura River, you’ll find the Franz Josef and Fox Glaciers. Take the day for a guided hike, heli-hike or scenic flight for an unforgettable adventure. On your drive to Queenstown, the adventure capital of New Zealand, you’ll have loads to explore: the wild ranges of Haast, river safaris, Mount Aspiring National Park. Or take a break from the adventure to explore the town of Wanaka. Queenstown is THE stop to try all sorts of fun activities: bungee jumping, jet boating, skydiving, ziplining, rafting and mountain biking. Or just take it easy with hiking trails around the beautiful Lake Wakatipu. Welcome to Aoraki Mount Cook National Park, the stunning grand playground for NZ escapades. Edmund Hilary used this area as a training ground for the Himalayas, and the unqiue landscape continues to draw mountain climbers, glacier-climbers, hikers, heli-skiiers and heli-hikers. Unwind from your adventures at Lake Tekapo, and take it easy with some lowland kayaking or horse-riding. Your drive will take you to into Christchurch, to chill back once more in civilization. From Auckland, leap off to the town of Paihia amid the Bay of Islands. Continue along Matauri Bay to the world-renowned Kauri Cliffs. You can also visit the Waitangi Treaty Grounds, the birthplace of New Zealand, and attend a Maori cultural show. Spent a full day at one of the world’s top golf courses, which played host to PGA Tour’s Kiwi Challenge, and the Shell Wonderful World of Golf match between Fred Couples and Michael Campbell. From Paihia, return to Auckland for a scenic oceanside drive. Explore the North Island’s favorite city, wines and foods, or escape a bit out to the black sand beaches on the west coast. Take your clubs to Windross Farm Golf Course, just 30 minutes from Auckland. It covers 60 hectares of pristine golf grounds — perfect to work on your swing. Drive to the center of the island, past the stunning Lake Taupo, and Kaimai Mamaku Forest Park. The road will take you to Wairakei Golf Course, in the middle of NZ’s famous bush. From Taupo you’ll make your way to Napier, an Art Deco city on Hawke’s Bay, known for its winning temperature, orchards and vineyards, and the magnificent Cape Kidnappers Golf Course. Finally, drive on the scenic route to Wellington, NZ’s capital. If you’re still gearing to golf, head out to the stylish grounds at Paraparumu Beach Golf Club. If you’d rather pack your clubs in for the week, spend the rest of the day exploring magnificent Wellington’s museums, gardens, old cable cars. Discover the street art and botanical gardens of vibrant Christchurch, famous for its stunning Avon River. Hop on the bus or car for 3h-3h30 to beautiful turquoise waters of Lake Tekapo. At nightfall, head to Mt. John for panoramic views from the International Dark Sky Reserve. Explore the South Island, stopping at Aoraki for a short detour to admire the country’s largest glacier. In Omarama, spend the night at the famed hot tubs amid wondrous geological formations. Drive southeast past lakes to the iconic Moeraki Boulders and Moeraki Lighthouse. Once in Dunedin, explore what some call the “Edinburgh of New Zealand,” home to remarkable Victorian and Edwardian architecture and the country’s only castle. In the remote southwest corner of Bolivia, lies a blinding white sea of pure salt. The ghostly landscape is dotted with erratic rock formations and islands of cacti. Here, the land is always thirsty. The salt flats of Uyuni are the largest in the world. Stretching an impressive 4,500 square miles at an elevation of 12,000 feet, the desert landscape is nothing short of primeval. There’s little but white hexagons and pentagons, everywhere you look. Once part of a prehistoric salt lake, the flats have since dried up into a severe beauty. Memorable characteristics are deafening silence, seasonal cerulean puddles, and colored mineral lakes. Wildlife is rare here, but if you’re lucky you may glimpse a flock of pink flamingos or the odd herd of wild vicuñas. Uyuni is a fantastic destination for travelers who love the outdoors, or who have seen Peru and Iguazu and are on the lookout for something a bit different. The salt flats and their eerie, otherworldly scenery also attract photographers of NatGeo caliber from all over the world. Bolivia is one of the most remote countries in the Western hemisphere. Up until as recently as 2011, Uyuni Airport serviced mostly mining companies. Now they have daily flights from La Paz. Tourism is still a budding industry—so we encourage our clients to check out this beautiful destination before it gets too crowded! Avanti Destinations offers an incredible 3-day package that includes all air/ground transportation, 2 region tours, 2 nights accommodation and all meals. Hop your 4×4 jeep with your expert guide out to see the miniature pyramids of salt, the train graveyard, or Colchani the village of salt. Spend 2 nights at the Luna Salada Salt Hotel, a superior 3-star resort constructed from salt blocks, with exquisite views of the flats. Or take a deluxe trip in an airstream camper into the heart of this otherworldly landscape. This is a perfect add-on to a greater trip to Peru or Bolivia or other neighboring country. Trips depart March to November (during dry season). For full details, click here. Or read more about Avanti Destinations here. 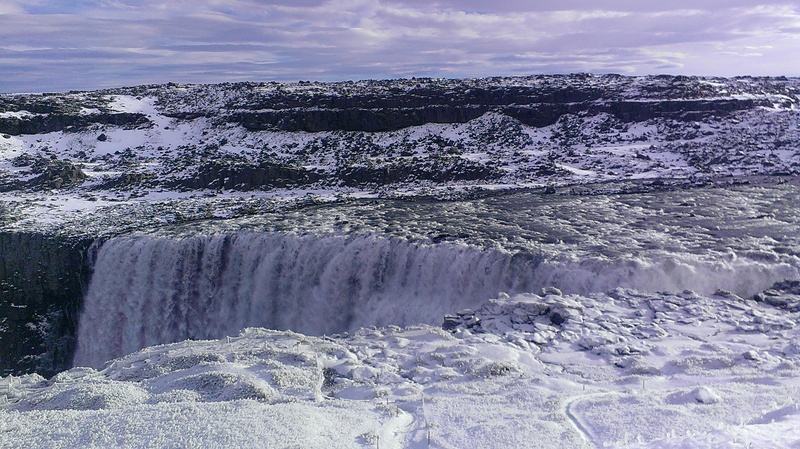 This week we’re taking a close look at WIT Agent Wailana’s trip to Iceland early October. Today we continue on the Ring Road to Mývatn and Akureyi—checking out some amazing waterfalls on the way. Though waterfalls are chiefly associated with the South, there are two memorable falls in the north part of the country that you must not miss on you road trip aroundIceland. On the empty road from West Iceland to Akureyri lies Goðafoss, the “waterfall of the gods.” Legend has it that in 1000 c.e., the high chief converted Christianity and threw his pagan idols down this waterfall. He might have picked a more dramatic location—the water falls a mere 39 feet down—but it’s beautiful nonetheless. Much more majestic is Dettifoss, which lies about an hour east of Mývatn. The most powerful waterfall in Europe, it is situated on the massive Jökulsá á Fjöllum river that flows from the massive Vatnajökull glacier. The falls are 330 ft wide and plunge 150 ft down into the Jökulsárgljúfur canyon. Mývatn (pronounced “mee-va”) is a large lake in the north that is famed for its bird-watching, beautiful landscapes, and otherworldly natural attractions. Mývatn is also known for Hverabrauð, a delicious molasses bread that is slow-baked for 24 hours underground by natural geothermal heat. Though the towns surrounding the lake are fairly tiny—the entire circumference home to only 450 inhabitants during the winter—you can easily base yourself in Reykjahlíð or Skútustaðir. Book far ahead–this is one of the more popular destinations in Iceland in the summer! 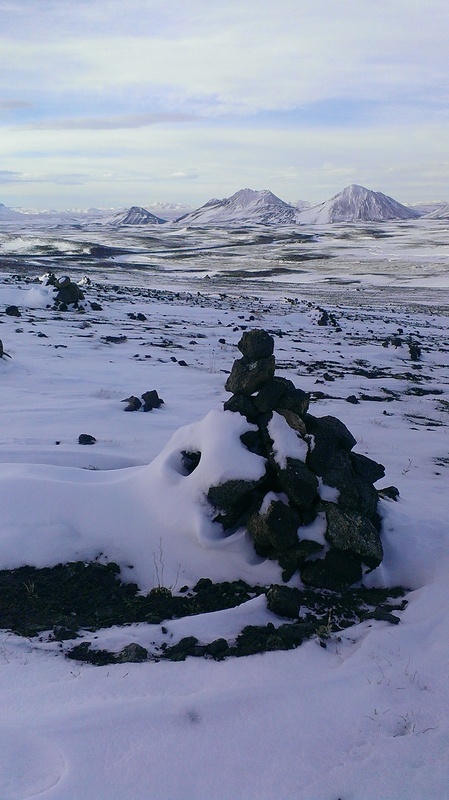 Mývatn is a volcano lover’s paradise. What it lacks in verdant forests, the region more than makes up in the way of rock pillars, eruptions, and lava caves. 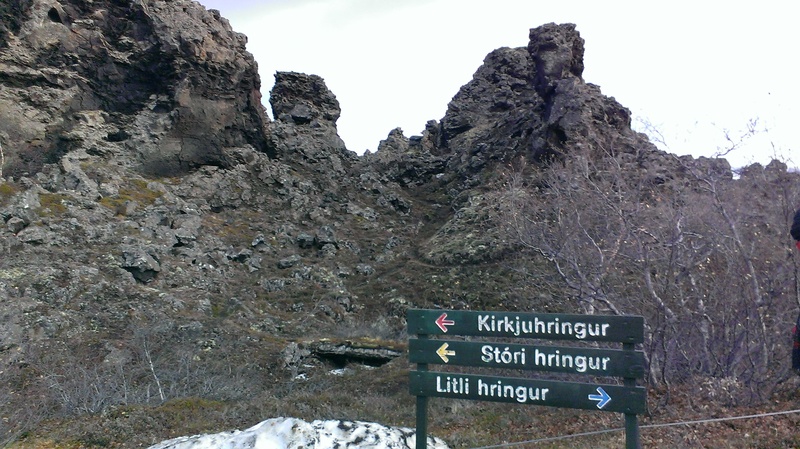 Wander through Dimmuborgir, the “dark forts,” an area of volcanic arches, towers, caves and bridges. You can spend half a day exploring one of the many well-marked trails. Check out Hverfjall Crater, a massive tephra crater nearby. 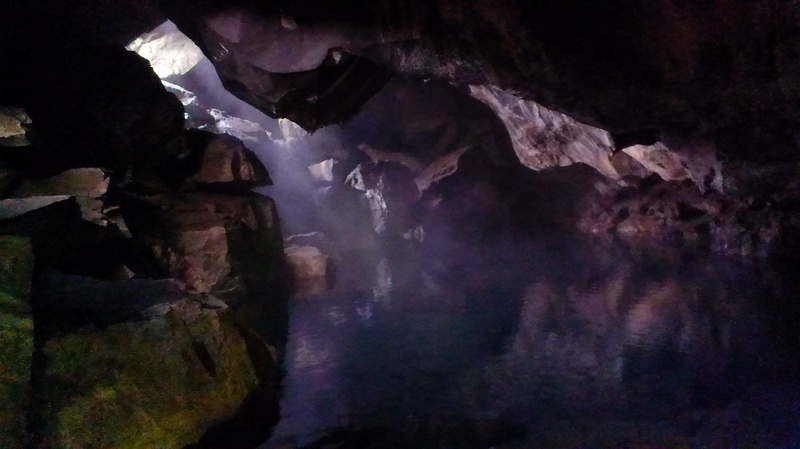 For some interesting lava caves, drive 45 minutes away to Lofthellir lava cave, which runs about 370m long and boasts some of the greatest natural ice sculptures in the north. The south side of the lake, Skútustaðir, is home to many pseudocraters. 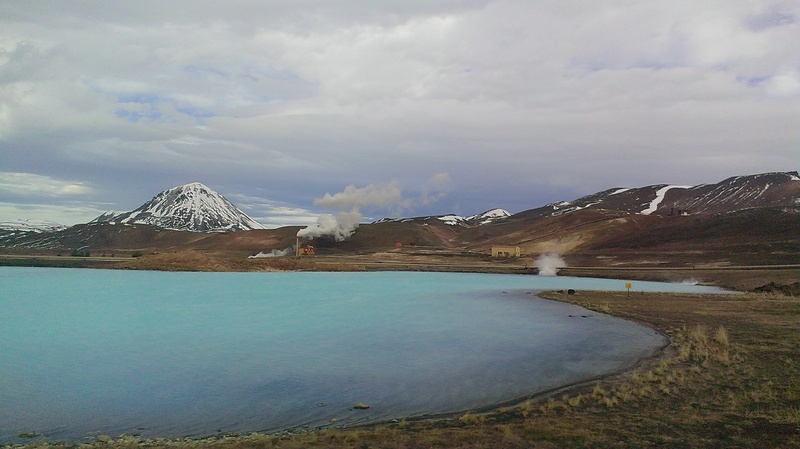 Krafla volcano is less than an hour’s drive away. Its latest eruption lasted from 1975 to 1984, and the area is still steaming. It’s definitely worth a visit to explore its striped lavafields, nearby geothermal field, hot mud pools, solfataras and fumaroles. About 45 minutes’ drive west of Mývatn is Iceland’s second largest city—Akureyri. With a population of 18,000—positively gigantic after hours and hours of farmsteads and wilds—the city is the unofficial capital of North Iceland. It’s a great base for exploring nearby Mývatn and Goðafoss, plus it has a few noteworthy sites itself. Don’t miss the picturesque town center, the Lystigarðurinn botanical garden, and the “art canyon” or Listagilið street—home to galleries and artwork. Check out Hallormsstaðaskogur, the largest forest in Iceland, something of an anomaly in a land without many trees! Thinking about a trip to Iceland next summer 2014? Call 503-224-0180 or email info@wittravel.com to chat with one our agents! Wailana would love to share with you more of her firsthand impressions about traveling to Iceland! Filed under Europe, Iceland, Our Travel Agents, Travel by Car, Where in the World is the WIT Agent? Driving in a foreign country can be a little disorienting! Be sure to read up on the latest updates about renting and driving a car internationally. To help ensure you have a wonderful (and stress-free) experience abroad, here are some of our basic guidelines for prospective renters to consider. – Drivers. Consider who will be driving. 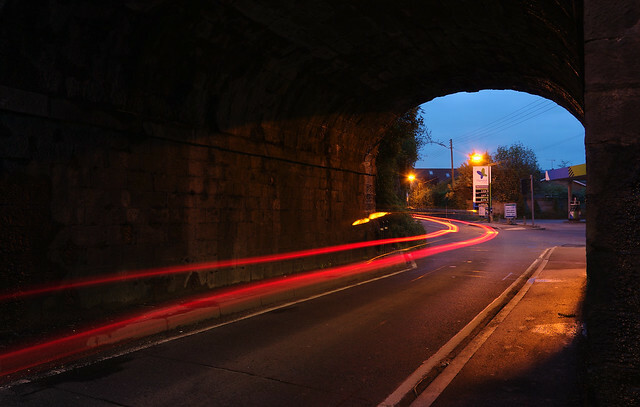 Drivers can miss some sights and signs. The driver needs a passenger with a talent for maps (even if they have a GPS) and for reading signs. There may be an additional driver fee to be paid at the front desk. – International Driving Permit. An IDP is often required to rent abroad. The permits are merely official translations of an individual’s driver’s license, and can be useful if traveling in a country where English is not widely spoken. For a full list of countries that do require, the IDP, click here. – Car versus Train. Small villages and quaint countrysides are often not accessible to those relying on public transport such as trains and buses. Train travel is a huge part of European networks, but it can be limiting. Cars can grant you the freedom to explore the hills of Tuscany or the Basque country on your own time and at your own pace. – Time period. European car rental companies rent by the 24-hour period, not by the day. This means if you pick up a car at noon and drop it off at 1PM the next day, you have rented it for 2 days, not one. – Insurance. Some car companies will never allow you to rent without some type of insurance. They will provide their own if you don’t have any. However, it’s definitely worth checking if your credit card company already covers international car rentals collision damage—this can save you from paying extra for insurance you may already have. Major credit card companies like VISA and MasterCard offer some collision damage coverage. Whoever your provider, double check that they do cover your destination(s). You can rent in certain countries without insurance, just be sure to purchase travel insurance that covers up to 35,000 for CDW. Speak to your travel agent for more information on insurance. – Fees. You should be aware of extra fees that may be included: higher fuel costs, one-way fees, per diem road tax, airport surcharges. If you are in an accident or illegality, there will be processing fees. – Different Rules & Regulations. Be aware that driving in Europe may be extremely different than what you’re used to—single highway speed limits, roundabouts, different sides of the road. Tail gating is not an unusual habit of drivers abroad. Ask your travel agent for a country driving guide. – Gas. Many cars use diesel instead of unleaded. Check with the car rental company if you are unsure. – Car Size. When selecting your car size, there are many factors to consider. Full size in Europe is definitely smaller than a full size in the USA. If there are only two passengers but you have a lot of luggage, economy will be much too small. A size up can mean considerably more leg room and space for baggage, while if you’re on a solo business trip opt for a smaller size instead. If you’re thinking of traversing harsh terrain, an SUV might be the best bet. 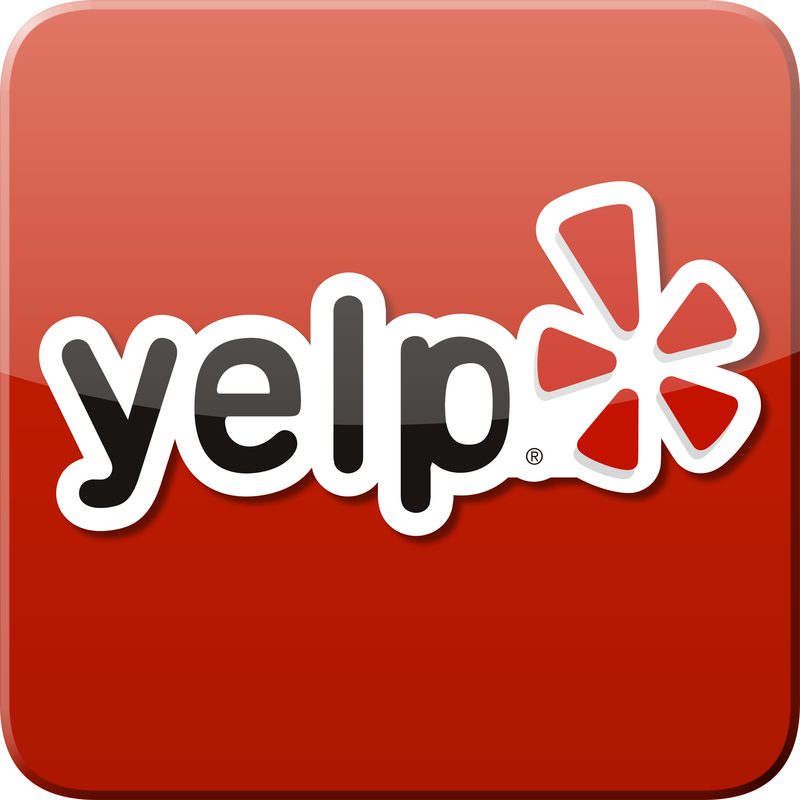 Have a specialty request or luxury class in mind? Ask us about our resources. – Manual versus Automatic shift. Cars with manual transmission are often less expensive than automatic in Europe. If you do drive it here, drive it there! However, there are exception to the rule. We recommend that in certain countries, such as the UK and Ireland, where drivers drive on the left side of the road, opt for automatic shift as it is one less thing to think about! – Deductibles. A deductible is when a car company holds an amount on your credit card as collateral. This can often be very high, occasionally equal to the whole value of the car. You can sometimes ask for a zero deductible. This will add to the overall cost on your car but there will be no hold on your credit card. We often recommend to our clients to take the -0- deductible. Christina, CEO of Wittravel, has one anecdote to share: “Once we were driving in England and were rear-ended. We had -0- deductible insurance. We called the car company, and they had their nearby office drive out with a new car. There was no trip interruption at all. For stress-free driving, think about the -0- deductible if it is offered.” The bottom line is, when in doubt, as your travel agent. – Leasing. Renting for three weeks are more? Consider leasing instead. It’s tax-free and sometimes includes zero deductible collision and theft insurance. It could be very cost effective especially with insurance if you are renting for at least 21 days, and sometimes as low as 17. – Map. Don’t forget a map! Keep a detailed road map or atlas in your car at all times. If you want extra security and ease of mind, consider renting a GPS. We can offer this to you when we book your vehicle. We also have a GPS in house that clients can rent. Ask us for more details. The best thing you can do is ask your travel agent. 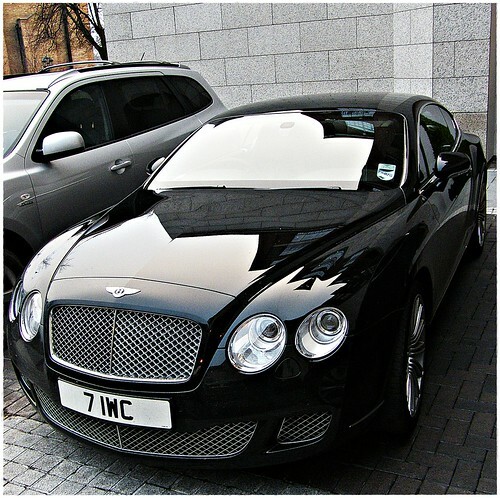 We have booked thousands of cars all across the globe for our clients. Call us at 503.224.0180 or email info@wittravel.com. What is self-drive? 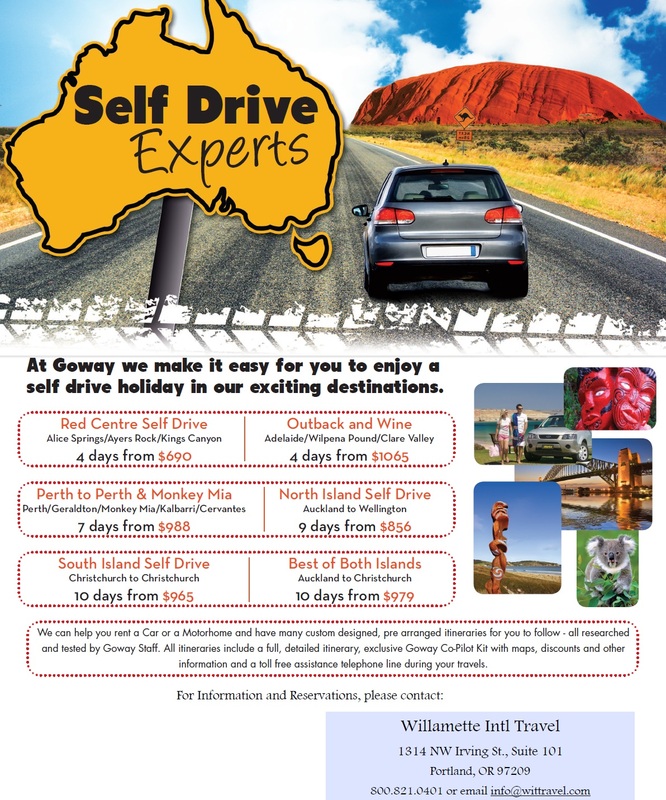 For a great example of a real self-drive itinerary booked with Goway by Willamette Intl Travel agents, check out our previous post on it. Today we are featuring a self-drive itinerary in New Zealand. This is an actual trip designed and created by WIT Agent Wailana for clients heading out in March 2013. They are picking up their car in Christchurch and heading out to take in the best the country have to offer in the way of cultural excursions, natural beauty, stunning landscapes, and rugged roads. Their mission? To make a loop around the South Island, exploring glowworm caves, Franz Josef, Milford Sound, the Cairns, and Lake Pukaki along the way. After you arrive in Christchurch, take a day to adjust and shake off your jetlag. Spend the afternoon idly exploring the city. In Feb 2011, Christchurch was hit by a huge earthquake, and suffered the destruction of much of the city’s beloved neo-gothic architecture. In the past year, the city has made serious efforts to recover, and it still remains a beautiful hub for fine dining, comfortable hotels, and fun activities such as surfing or biking. If you have time, check out the thermal pools at Hanmer Springs and the vineyards in Waipara Valley. On your second day in Christchurch, you’ll pick up your car at the airport. WIT recommends automatic cars, and if you’re heading to the mountains, pick up a 4WD. Two driving tips:Don’t forget to drive on the left side of the road, and be prepared to share the road with lots of sheep! Accommodation: Two nights at Heartland Hotel Cotswold or similar. If you’re driving from Christchurch to the West Coast, take Arthur’s Pass. Reaching more than 900 meters through Arthur’s Pass National Park, this is the highest and most visually stunning road of the Southern Alps. On the eastern side you’ll see wide riverbeds and oceans of beech forest. Descending on the western side, you venture through dense rainforest, driving along and over river gorges. You can either drive or take the spectacular Tranz Alpine rail. There’s plenty of hiking to do in this area, and chances to spot the rare alpine parrot, or kea. Check out the historic Otira rail tunnel or take a brief hike to the Devil’s Punchbowl Falls just outside of Arthur’s Pass Village. In wintertime, skiers and snowboarders head to the Temple Basin Ski Area. Greymouth is a treasure trove for adventurers. Wander into Paparoa National Park—a land full of deep caves and gorgeous rivers. Go blackwater rafting through the stunning glowworm caves. This area is one of the few places you can spot greenstone, or pounamu, a durable rock important to the Maori culture. Check out the amazing Punakaiki Pancake Rocks and their blowholes—head over around high tide for the best action. There’s a lot to see around Greymouth so good thing you have your own transport! Accommodation: Two nights at Ashley Hotel or an upscale option. 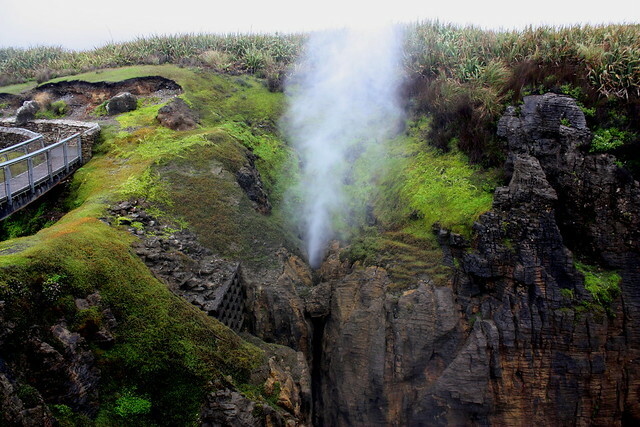 Punakaiki Blowhole. Photo by Sally Quiltsalad, Creative Commons. Note: Between Greymouth and Franz Joseph the road also is shared by the railroad, so this can make for some exciting driving! 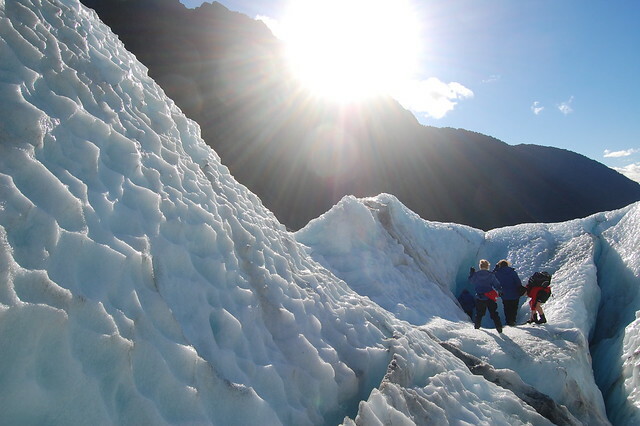 Next, head up to mountains and ice—the magnificent Franz Josef and Fox Glaciers. These glaciers, being some of the few that still flow to sea level, are among the most accessible in the world. Hike in to the foot of these massive ice giants, and spot the vast cliff scars from where the glaciers retreated. Fox Glacier is the larger of the two, over 8 miles (13 km) long and 300 meters thick above the river valley. For some unforgettable and spectacular views and adventures, book a helihike. You’ll be lifted up above the glaciers in a helicopter and taken on a guided hike on top of them. Accommodation: Two nights at Glenfern Villas or similar lodging. Franz Josef Glacier. Photo by edwin.11, Creative Commons. Queenstown is a popular destination for adventurers, with activities ranging from bungee jumping, sky diving, canyon swinging, jet boating, horse trekking, and riverrafting all year round. For more mellow travelers, check out boutique shopping, sample excellent cuisine, take a small hike, go on a city tour and indulge yourself at the spa. There’s so much to do that you may want to spend a few nights here! Just minutes from Queenstown are several other fantastic destinations—Arrowtown a historic gold mining town, Paradise Valley, or Mt. Aspiring National Park. Accommodation: Two nights at Copthorne Hotel and Apartments or similar lodging. Te Anau is the main stopping post for visitors of Fiordland National Park. The park covers over 1.2 million hectares and is a UNESCO World Heritage site. Here we find three of NZ’s famous walks: the Milford, Kepler and Routeburn Tracks. Enjoy some of South Island’s rare fauna: the takahe, previously thought to be extinct, the kakapo, the world’s only flightless parrot. Cruise along Milford Sound, a stunning bay that Rudyard Kiping described as the 8th Wonder of the World. In the Fiordlands, there are endless places to explore, whether by kayak, airplane, or on foot. Accommodation: Two nights at Kingsgate Hotel Te Anau or more upscale lodging. Southland is a unique and vast landscape with some spectacular marine views. From Te Anau, drive through the Southern Scenic Route, which hugs the wild coast down through Te Anau, Invercargill, Manapouri and the Catlins. Don’t forget to stop and see the sights: the mysterious Moeraki boulders and Oamaru’s whitestone architecture. For more on this route, check out our blog post on it! The Catlins are not to be missed on any itinerary of Southland. Take the Catlins River Walk that leads you through, a 160 million year old fossilized forest. Head over to the Nuggets, a dramatic seascape with a lighthouse, where you can enjoy fantastic glimpses fur seals, sea lions, spoonbills, gannets, shags, penguins, and sooty shearwaters. Drive down to Slope Point, the southernmost tip of the island. When you’ve seen your fill and perhaps sampled the famous Oysters at Bluff, drive over to Dunedin. Dunedin is known as the “Edinburgh of New Zealand,” with a plethora of Scottish heritage, one of the best-preserved Edwardian cities in the southern hemisphere. Check out incredible wildlife, the world’s rarest penguins, and the world’s only mainland breeding colony of Royal Albatross at Taiaroa Head. Accommodation: One night at Kingsgate Hotel Dunedin or more upscale lodging. Mt. Cook National Park (also known as Aoraki National Park) is an alpine wonderland—with towering peaks, massive glaciers and permanent snow fields. At 12,316 feet (3,754 metres), Mt. 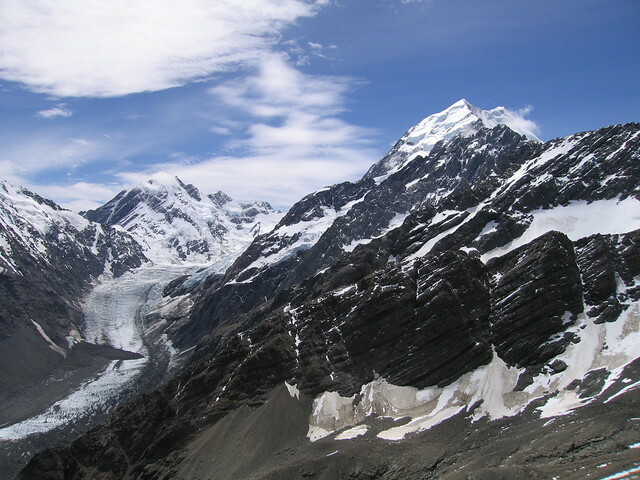 Cook is the tallest mountain in New Zealand. The park is very accessible by road, drivers can take the State Highway 80 up to Aoraki/Mt. Cook Village, which rests beside scenic Lake Pukaki. Don’t miss the mighty Tasman Glacier—stretching about 16 miles (27 km) in length! Hike around the surreal landscape and photograph yourself on the foreground of one of the park’s incredible milky lakes. For a real challenge—only recommended for the most experienced of mountaineers—scale Mt. Cook itself and count yourself among the best climbers of the New Zealand Hall of Fame. This impressive list includes Sir Edmund Hillary, the first man ever recorded to climb Mount Everest in 1953. Accommodation: One night at The Hermitage, Aoraki Mount Cook Alpine Village or similar. Congratulations, you’ve made a full circle! After your self-drive adventure, park your car at one of the depots in Christchurch. Use the extra day to unwind and relax from your whirlwind of a trip, before heading out. Now all you need to decide is your next stop: the North Island? Or maybe Australia and the islands of the South Pacific? Most of our agents have traveled to New Zealand, and we’d love to share all of our expertise and knowledge with you. Call us for more information at 503-224-0180 or email info@wittravel.com. Filed under Features, Itinerary, New Zealand, Oceania, Travel by Car, Vendors, Where in the World is the WIT Client?